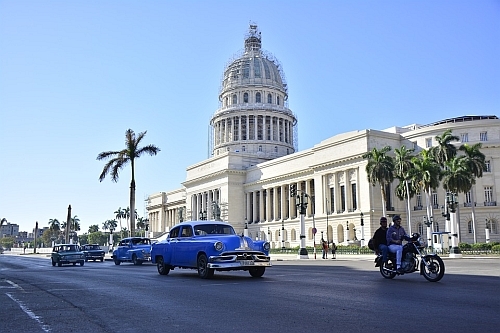 Aeromexico has dropped the price of their flights from Vancouver to Havana, Cuba down to $364 CAD roundtrip including taxes. However, only single seats are available. 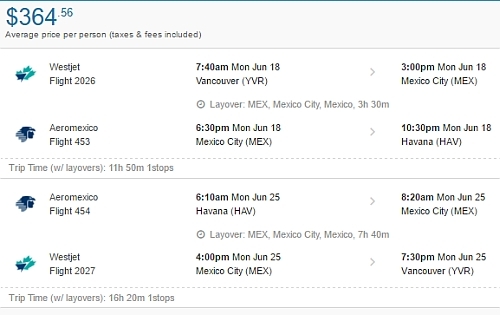 'Flight only' prices to Havana are usually quite expensive, especially from Western Canada ($650-$750+ roundtrip is common). These flights have 1 stop each way, in Mexico City. It's a 3.5 hour stop on the way down, and 7.5 hours on the way home. But if you're looking to visit Havana as an independent tourist, these flights could be worth a look. vancouver, yvr, flight deals, caribbean, western caribbean, aeromexico, greater antilles, havana and cuba.